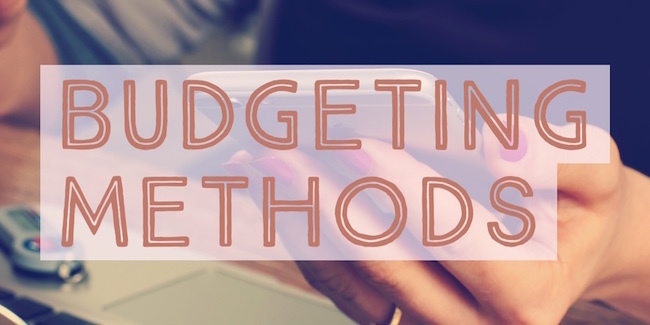 Most people don’t budget. Some don’t because they were not taught how to and others because they just don’t want to. I’ve notice some weird psychology that takes over where many don’t want to know exactly what they are spending their money on. It’s the old “out of site, out of mind” mentality, which gets us nowhere. When it comes to financial issues, your mistakes will come back to haunt you. That being said, this article is for those who have decided to take their future into their own hands. It is for those who have decided to live responsibly, knowing full well they are in for a challenge. I’ll be honest, budgeting isn’t complicated. Rather, it’s quite easy! A little discipline and know how will take you a long way, as there are no economic theories or crazy formulas to learn (at least in it’s basic form.) I’m going to make this as simple as possible. There are several different ways to approach breaking down your numbers. Option 1 is to go through your bank accounts and credit cards to figure out where you spent every penny in the last month. Option 2 is to start a money diary. You’ll log in every cent you spend over the next 30 days in order to grasp where everything is going. Lastly, you can back into what you should be spending on each of your expenses by separating your fixed expenses from your variable expenses. The goal is to understand where you money is being spent. It will be helpful in making realistic choices for a creating a successful budget. As you can see by this example, this person is spending $700 more than they bring in each month. Changes will need to be made! There are several things that can be done. Most people spend WAY to much on food, others may throw about $100 a month on coffee. The point is that you’ll have to examine your situation and figure out what is best for you and your family. If you are someone who gets a massive refund at the end of the year, maybe change your W-4 from zero to one or two. This will put more money in your paycheck per week, thereby giving your budget a little bit of a bump. Just beware your tax refund will shrink in April. Make more money by getting a side hustle. Drive an Uber? Part-time job or business? Every little bit counts! Note: If you don’t have steady income, this will be more difficult. You’ll have to figure out how to forecast using your best estimate. Self-Employed individuals may be well suited to base their estimates on historical trends of prior years and months. It’s not an exact science but it’s better than nothing. The ancient envelope system will not fail you, thought it’s about as old school as it gets. As I said before, it just takes a little discipline. This system will involve you withdrawing cash from the bank and physically putting it into different envelopes. Each envelope will be labeled with each of your monthly expenses. Therefore, when you run out of money in an envelope you won’t be able to spend more until you get paid again. Nowadays, technology has taken over. There are some popular apps that have come out of late that are able to fulfill this task in a less primitive fashion. Some suggestions are Mvelopes or Budgetease. Personally, I update by bank balance on my budgeting spreadsheet every morning. I find that it helps me know exactly how much money I have left at that instant. Also, if I went over budget on one category, it helps me reshuffle everything else very easily. For instance, if I spent $50 extra on food, I just go onto my spreadsheet and take out $50 from my Miscellaneous line item. Hopefully, in budgeting your money, you’ll have a little extra money at the end of the month. Some suggestions for this money will be to build an emergency fund, get out of debt, save for retirement, or save for an investment. Don’t squander away what you’ve worked so hard for!